Posted on 18, October 2016 by EuropaWire PR Editors | This entry was posted in Defence, France, Technology, Transportation & Logistics and tagged DCNS, Euronaval Exhibition, Paris-Le Bourget, ship, SMX®3.0, submarine. Bookmark the permalink. PARIS, 18-Oct-2016 — /EuropaWire/ — DCNS has unveiled its new submarine concept ship SMX®3.0 at Euronaval: The submarine has been tailored to the needs of Generation Z and will be at the control of vessels from 2025. The submarine features on board 3.0 technologies, better power management, unequalled operational performance and system upgradeability facilitating vessel maintenance. With a displacement of 3,000 tonnes, SMX®3.0 integrates the latest digital technologies for strengthened operational efficiency and significant versatility of use. DCNS and Dassault Systèmes are partnering on this project to design a ship tailored to improve the level of comfort for the women and men onboard. The on-board data systems are now completely interconnected, robust, secure, fast and upgradeable. Humans at the centre of the system: Tomorrow, submarine systems will produce many thousands of terabytes per day which will need to be managed and stored. 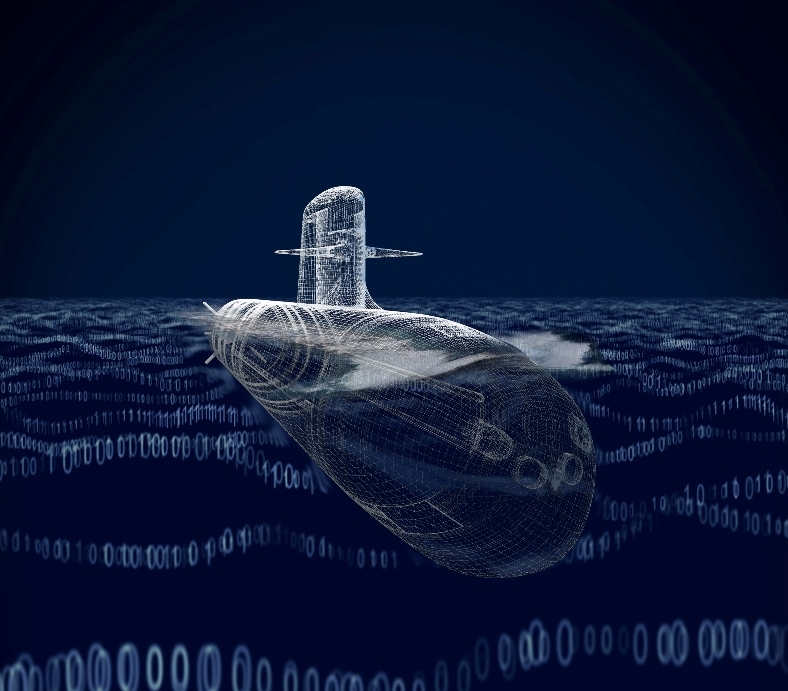 In order to manage this; DCNS is developing digital solutions to enable improved responsiveness and functionality. The combat or platform-operation systems have been designed around more efficient, intuitive and fluid MMIs. The data management applications will allow operators to be more focused on their value-added functions. Capable of intervening at all times on the submarines systems, the commanding officer and their crew will be even more informed and in control of their vessel. Unequalled operational performance: Equipped with a versatile vertical launch system which can be used for launching both drones and missiles, SMX®3.0 extends the scope of its warfare capabilities. Furthermore, SMX®3.0 has greater capacities for countering cyber-threats. Its hydrodynamic shape and masking coating ensure the submarine has unequalled acoustic discretion. Thanks to its database management systems, SMX®3.0 enjoys much improved sensor performance. Better power management: Through this concept ship, DCNS offers the AIP FC2G (Air Independent Propulsion Fuel Cell Second Generation) anaerobic propulsion system. Certified by DCNS, this system, of which the complete shore-based system is currently being industrialised, demonstrates all the advantages of a safe and versatile solution. Upgradeability and facilitated maintenance: System maintenance and modernisation have been addressed right from the design phase thanks to the many 3.0 technologies, including a real time diagnosis of ships, big data management and detection of weak signals. This is supported by an onboard computerized infrastructure produced on the same principle as civil data centres with a strengthened resilience. This complete infrastructure guarantees great upgradeability and capacity to adapt to evolution in technology.